We call Mardi the “it” girl. She does it all...! A small but mighty blue-eyed over-achiever, Mardi is my first Cardigan Welsh Corgi and what a great impression she has made. This girl has beautiful expression, lovely type, ground covering movement, correct coat, superb temperament, and fabulous well-shaped ears! Mardi has a natural instinct for sheep and enthusiastically gained her Herding Tested title in one weekend. (Many thanks to our herding instructor Shelly Spotswood). At the coursing field, Mardi has put many a sight hound to shame with her intense drive and follow. And what great entertainment with those little legs flying! She’s also a frequent artist’s model, parade goer, public outreach ambassador, Borzoi herder/trainer, and is instructing me in Rally. Mardi also added "juniors" to her extensive résumé by taking my nephew Chuck into the ring. 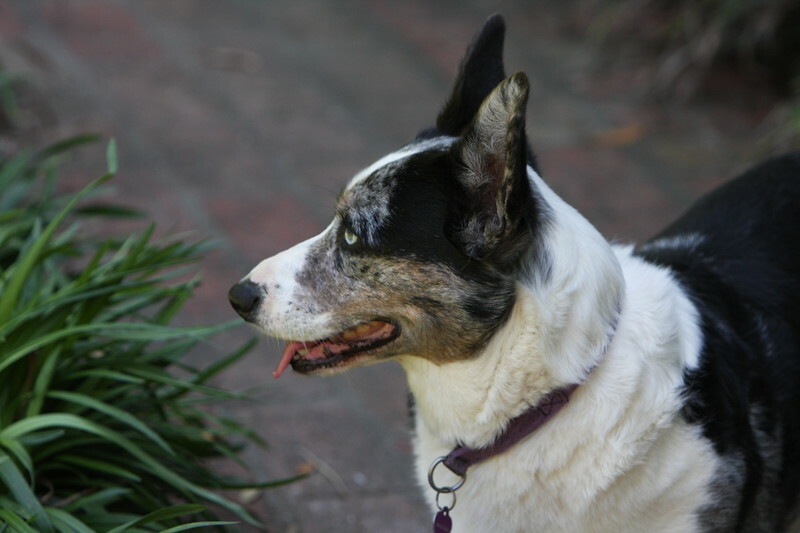 In 2006, Mardi earned back-to-back 4 point majors the weekend of the Bluebonnet Cardigan Welsh Corgi Club Specialty (one of which was Cardigan Welsh Corgi Club of America Trophy Supported). Unfortunately, we missed the Specialty day ring by taking a wrong turn in Houston! Mardi returned to Houston for the 07 Specialty and went Reserve Winners to a 4 point major on Sunday and took a placement Saturday in the huge open class. In December of 2007, Mardi took breed twice from the classes and another major reserve. She completed her conformation title in Dallas in 2007 with her 3rd major.